London Total Removals is a family run and owned company that is proud of it's roots. Our community is important to us and here you will find stories of how we are helping out wherever we can - even getting on our bikes if needs be! 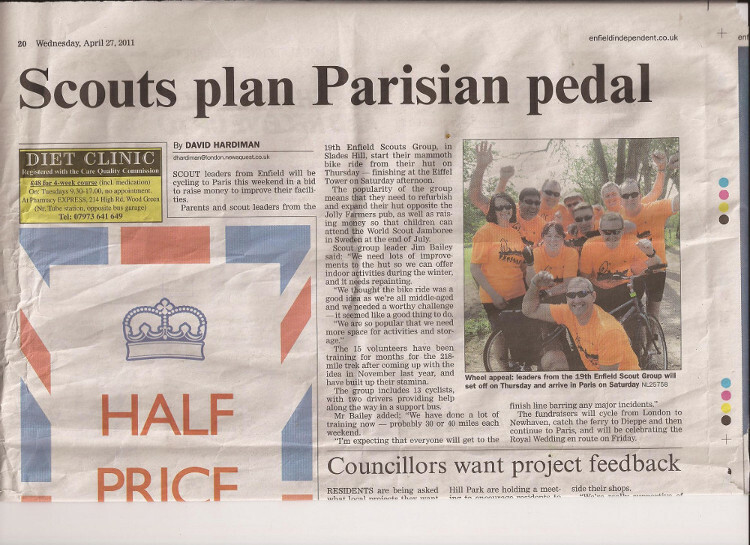 TRS recently got on our bikes and headed to Paris to raise money for our local Scout group. We raised about £400.00 for the group and sponsored the cross channel sailing from Dover Calais with our partners Norfolk line ferries. Our endeavours even made the local paper. Rumours that we are entering a team in this years Tour De France are greatly exagerated! 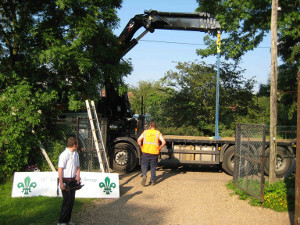 The 19th Enfield Scout group contacted Total Removals for a storage solution. We were able to donate a shipping container that was then placed in the grounds of the hut - though not without a bit of mechanical help!! We undertook a removal of an ex-display kitchen (yes including the kitchen sink!) for Moreland School. The ex-display appliances & units had been donated to the school and by all accounts they were very grateful. Check out some of these fantastic thank you cards that the children sent us!! We are excited to announce the exciting new Friends of London Total Removals Group page! As well as being a great place for us all to keep in touch with your latest photo, stories and updates, followers of LTR will also have access to special benefits - like free moves & other privledges. So if you are a customer or an employee (past pr present!) sign up to the page and say hello! Just click on the friendly icon at the bottom of the page to get started! Here are a few photographs that were taken of our local cub group making good use of our wardrobe boxes! Each cub spent the night under cupboard to experience what it might be like to be homeless. This was part of Homeless Awareness Week.